Spotted this here in New Delhi a while back and meant to share here. 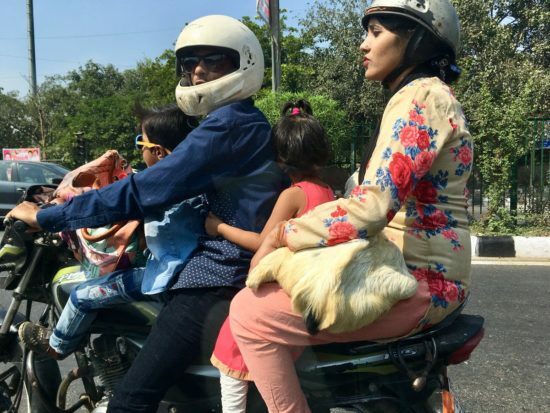 Yes, this appears to be a dad driving a motorbike, with his son in front and his daughter behind him. Then on the back is the mom. With a goat on her lap. Fun for the whole family (including pet and/or working animal and/or dinner).